One of the services we offer to organisations managed or supported by us, is the development of applications for awards and funding: we can write them from scratch or simply quality assure them to give them the best chance of success. We can also manage the entire administration of your project. A successful bid can be a vital source of income for not for profit organisations, will help you to build relationships with funders and commissioners, reach more communities, and improve your public profile. 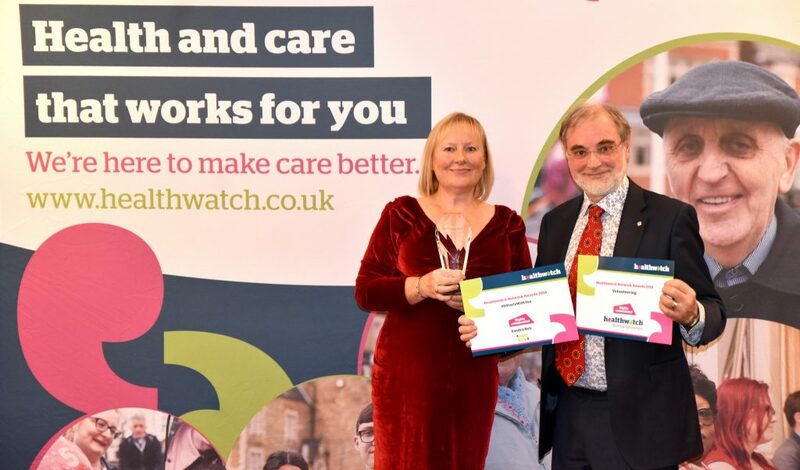 We are proud to have been able to help Healthwatch Northamptonshire receive one award and two commendations from the Healthwatch Network Awards 2018: the projects recognised are an excellent testimony to the way Healthwatch Northamptonshire effects change in people, organisations, and services in the health and social care sector. Kate Holt, CEO of Connected Together CIC, said “It was with immense pride that I accepted the awards on behalf of our small team of dedicated staff and hardworking volunteers. We continually struggle with resources locally but this is national recognition for the work we do ensuring the voices of local people are in heard in Northamptonshire”.